Featured in the recent blockbuster hit Crazy Rich Asians, CÉ LA VI is situated on the rooftop of Marina Bay Sands Skypark and overlooks a panoramic view of the city skyline and metropolitan lights. CÉ LA VI is arguably Asia’s finest luxury lifestyle destination which has revolutionised the Singapore hospitality and entertainment industry with experiences that elevate and amplify the spirit. 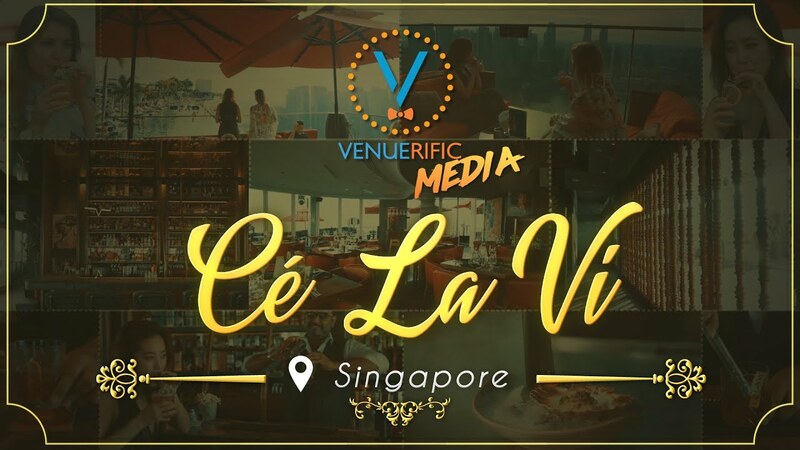 Concocting drama and inspired moments out of culinary, mixology, music, culture and stunning atmosphere, CÉ LA VI is known as a legendary name for top lifestyle entertainment, celebrity sightings, and a theatre where music and dance is touted as a religion. Our space consists of a Skybar, Restaurant and Club Lounge and caters for events from 12 pax and above, for a multitude of special occasions. Kindly enquire with our team for more information on the space and how we can help you plan your perfect event. As CÉ LA VI caters to many different-sized events and requests, we recommend making an enquiry for a proper quote based on your event.